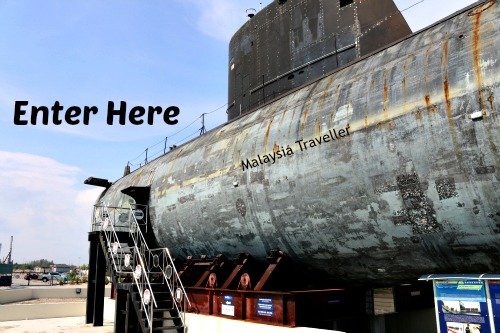 At the Melaka Submarine Museum visitors get the chance to see a submarine up close and to go inside and witness the living and working conditions of submariners. There is only one submarine here, the SMD Ouessant, an Agosta 70 class submarine which was built in 1978 by Arsenal de Cherbourg in France. 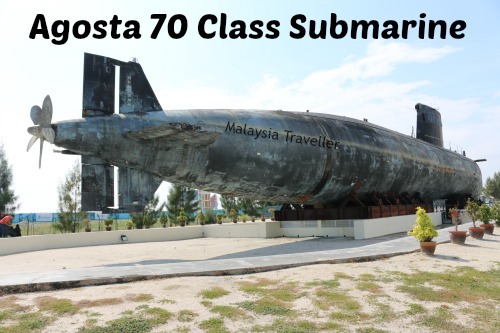 It was decommissioned by the French Navy in 2001 and subsequently transferred to the Royal Malaysian Navy where it was used as training vessel from 2005 - 2009. It is an electric/diesel powered non-nuclear submarine. Similar submarines have been used by the Spanish and Pakistani navies. Now the submarine is propped up on steel supports on dry land and is open to the public as a museum. Visitors enter the hull of the submarine via stairs near the bow and walk through the narrow corridor inside before exiting near the rear. 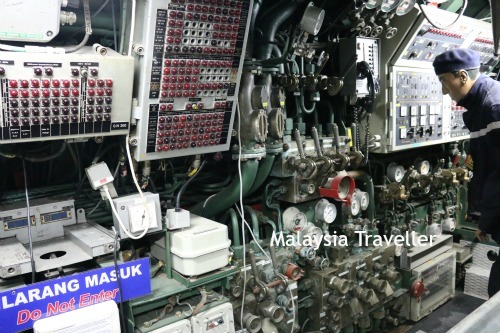 The Ouessant is still crammed with its original equipment such as the torpedo launching platform, torpedo bays, engine room, navigational and communications equipment as well as the cramped mess room and sleeping accommodation of the crew. You can get a good idea of the claustrophobic conditions which submariners have to put up with. 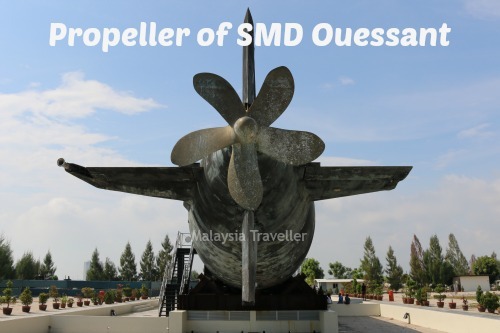 This is an interesting museum, the only one of its kind in Malaysia (by contrast the United States has 25 submarine museums giving an indication of the relative size of the two navies). Allow visitors to walk on the deck and/or on the conning tower. Allow visits to look through the periscope. Have a simulation of firing torpedoes at imaginary targets. 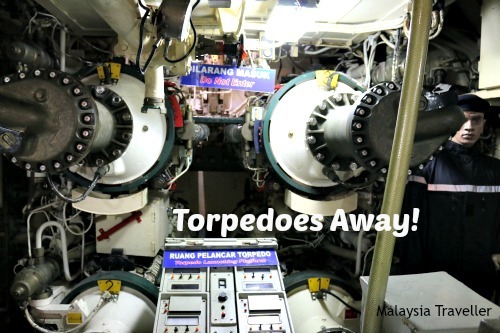 Play sound effects of the typical noises heard on a submarine. Have a gift shop selling cool nautical stuff. The museum is located on a patch of newly reclaimed land next to the sea in the Klebang area of Malacca. 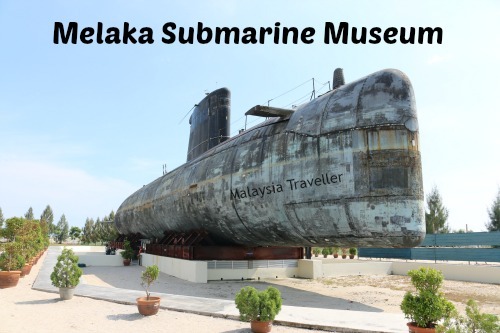 The Museum is located ten minutes drive from the heart of Melaka, a UNESCO World Heritage site, where there are plenty of places of interest. Read more on my Top Melaka Attractions page.